CLICK “LEARN MORE” Below to register! No matter whether your child is a beginner or more advanced (and some will have just learnt to play open strings!) 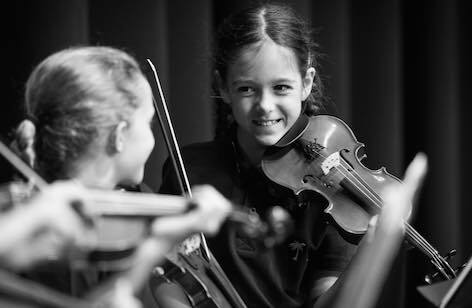 AUSTA Q String Festival (formerly Junior Strings Festival) offers them the opportunity to perform a solo accompanied by a professional accompanist in front of a small, supportive audience of family, friends and peers. They will receive a constructive, encouraging adjudication report from one of AUSTA’s many teachers and also a fabulous, shiny trophy to take home! In 2018 all sessions will be run on Sunday, 5 August. Please note you only have to buy tickets for performing students. Observers can buy tickets at the door on the day of the performance; $2 per person. Each performer will receive a trophy and report. Professional accompanists are provided as a festival service. Performers are welcome to organise their own accompanist if preferred. Please note that students will be assigned a one hour time slot between 9am and 5pm for their performance on this day. Performers will be notified their time by Wednesday the 18th July.